Many websites list the Adidas Crazy Shadow 2 as one of the most valuable shoes under $100. Many wearers give this pair of kicks their thumbs-up. At least two reviewers think that this pair of kicks from Adidas is almost perfect; they simply did not find any major flaw to complain about. 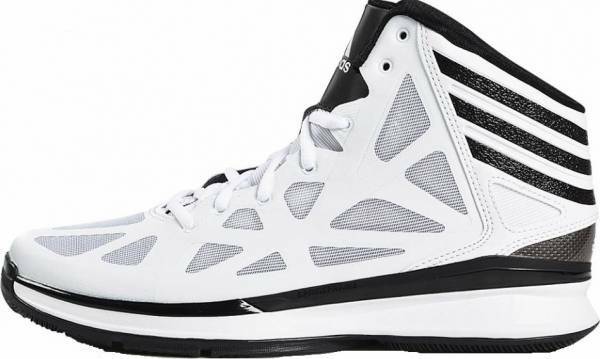 The Adidas Crazy Shadow 2 has the SprintWeb technology in the upper, and some wearers think that it is so light. Players have similar sentiments about the Nike PG 3. One reviewer is so happy with the performance of the Crazy Shadow 2 that they express willingness to cop another pair. A few buyers think that the colors of this shoe do not look as good as they do in pictures; one even said that this model looks like a shoe for clowns. A dissatisfied buyer returned a pair because of an unspecified issue. Because of the rigidity of the SprintWeb upper, the Adidas Crazy Shadow 2 may need time to break in. Wearers have the same complaint about the HOVR Havoc. Loaded with technologies that ensure a great performance on-court, the Adidas Crazy Shadow 2 makes each athlete’s life easy. It is among the cheapest offers from Adidas out there, and a lot are surely lining up to cop a pair. The 2 carries on with the versatile performance excelling in all categories of performance, fit for guards to forwards & centers. The Adidas Crazy Shadow 2 has the SprintWeb technology in the upper to ensure lightness and durability. It also has the SprintFrame chassis to provide much needed support. A reliable grip on the court is ensured by a wavy herringbone pattern on the firm and thick rubber on the forefoot. Cushion. To provide comfort and an energizing bounce, the midsole of the Crazy Shadow 2 has a dual-density EVA foam. The shoe also has a high-grade PU insole to complement this already responsive setup. The shoe also boasts of the presence of the SprintFrame technology in the midsole. This technology does not only provide more support but also brings the foot closer to the ground for more court-feel and better heel-to-toe transition. Traction. This pair of hooping shoes from Adidas has an outsole that is made of a firm and thick rubber. It has wide flex grooves on the forefoot, allowing the feet to flex more naturally especially during quick cuts and lateral movements. The forefoot area is also covered with a wavy herringbone pattern that starts at a pivot point at the medial, near the ball of the foot. This provides multidirectional support to the wearer especially during the execution of daring court stunts. Length and Width. This Adidas Crazy Shadow 2 is said to be true to size. It is reported that the shoe fits so nicely, leaving just the right amount of space for toe movement. The firmness of the upper also provide good arch support without making the foot feel suffocated. Lockdown. This hooping shoe from the Three Stripes has the traditional lacing system that makes use of standard oval laces. It also has an ankle collar that is made of synthetic leather, which is able to withstand the pressures from aggressive court movements. Together with the rigid SprintWeb upper, these work together to stabilize the wearer’s movements and bring out the on-court beast in them. The firmness of its SprintWeb upper makes the Adidas Crazy Shadow 2 a really supportive shoe especially for players who do a lot of lateral movements. The synthetic leather reinforcement on the ankle collar also contributes significantly to the shoe’s stability. The high-quality PU insole and dual-density EVA complete the experience. This Adidas Crazy Shadow 2 prominently displays horizontal stripes on the heel counter. The upper is also dotted with triangular cutouts that give this shoe its unique look and personality. Those who are particular with colors will not be disappointed because this pair of kicks come in various colorways.